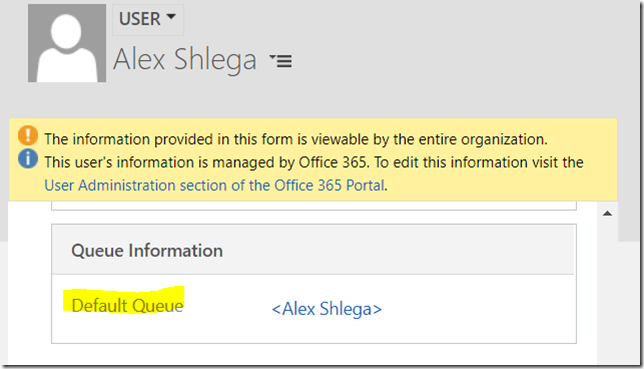 I have always been a bit cautious of the queues in Dynamics since I could not fully understand when to use them. I don’t know, somehow my technical knowledge of what they are just did not materialize into a clear understanding of what to do with them. 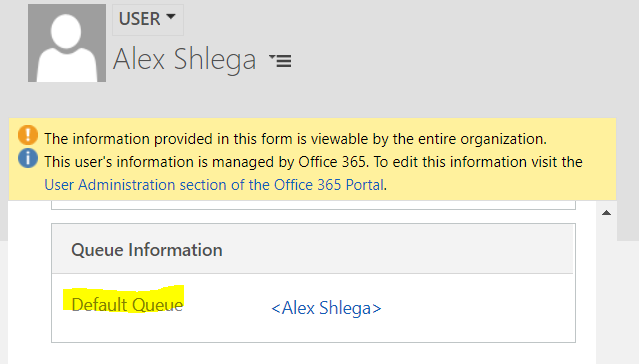 This is until on one project business users just said “we will be using queues”. And on another project somebody asked if they should be using queues. So, if you are in the same boat, I’m hoping this post will help. Basically, queues are called queues since you can add items to them. Yet it’s not just one specific entity type per queue – you can add different entities to the same queue (as long as queues have been enabled for the corresponding entities).. which that makes queues very different from the regular entity views. And, as you can see above, you can either look at the items in all queues (which includes public queues and those private queues you are a member of), or you can look at the queues you are a member of. There can be only one Queue Item per record – you can’t put the same record (case in this example) in more than one queue. This is where things get a bit confusing from the terminology standpoint. I think I’m going to use “Queue Item” for the queue item entities, and I’m going to use “item record” for the actual cases (or other records) added to the queue and referenced by the queue items. If an item is being worked by you, you’ll see that item in the “Items I am working on” view. If an items is not being worked by anybody, you’ll see it in the “Items available to work on” view. But, if you choose not to keep that queue item in the original queue on the screen above, which queue is it going to be in then? And is it going to be anywhere at all? All the records assigned to the user will automatically go to that queue (even if they used to be in a different queue). Actually, it’s also where the records will be placed in the “pick” scenario above if you choose not to keep queue items in the original queue when using “pick” option. 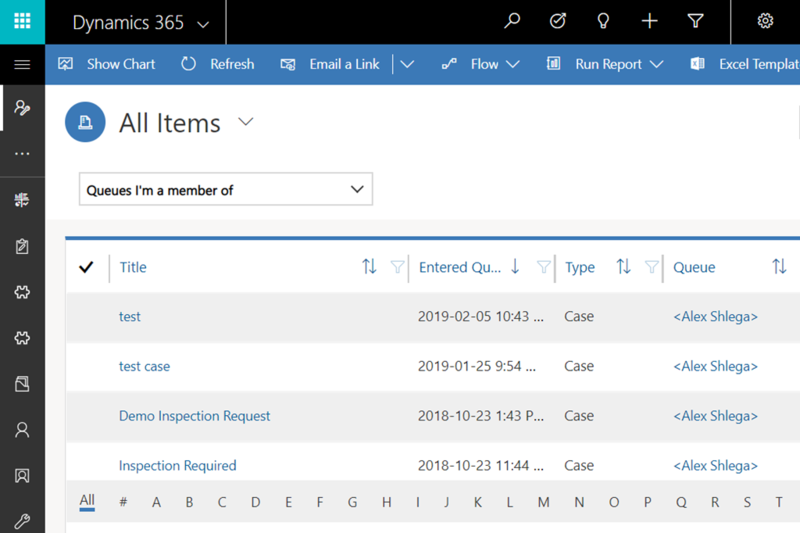 But, it’s only if the entity is configured that way – cases are, by default, but they don’t have to be, so what if we re-configure that setting on the entity configuration screen (and publish etc)? There can be a few variations depending on the configuration settings and selections discussed above, but, basically, it’s all about working with those queue views. Those views become your “home page” since you don’t even need to look at the individual entity views to see your workload. However, what remains is the question of control. As in, how do we ensure that an item has not been forgotten/left unattended for too long? What if nobody wants to pick an item from the queue? Or what if there is a record which, somehow, just has not been added to a queue at all? So you cannot, really, set up a workflow on the case entity to watch for the queue item changes. You can create a workflow on the queue item entity, though, so, through the queue item ,you may be able to update a field on the case.. or on another queue-enabled entity. Then you can use that field to run notification workflows, or to build views, etc. But you’ll have to do that separately for each queue-enabled entity, so this solution does not sound very promising. Of course you can build a separate view to show you all queue items which have no “worked by” and which have not been modified for a few days.. But that’s not necessarily what you need either because there could be different conditions for different types of work(for different entities). Maybe that’s the gap that has not been fully addressed yet? It seems for now that kind of “control” has to be implemented against the individual entities rather than against the queue items. But, as usual, if you think there is another option.. let me know!